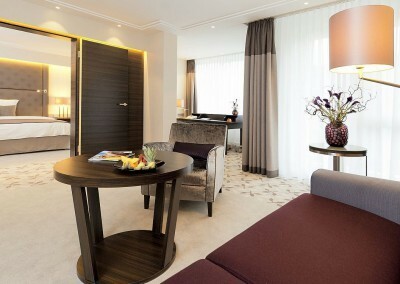 Look forward to discreet luxury in timeless, elegant design near the English Garden in the popular Bohemian disctrict of Munich Schwabing. 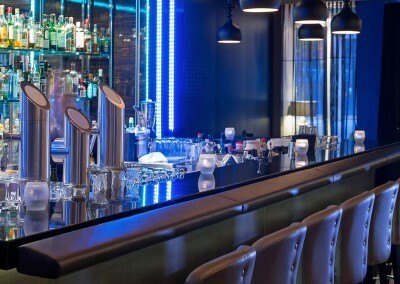 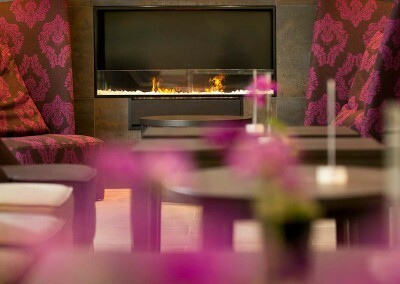 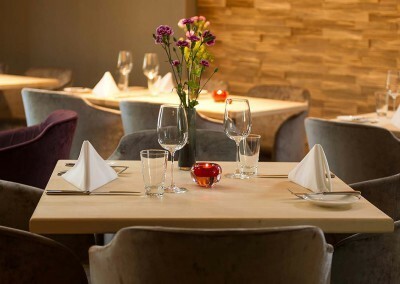 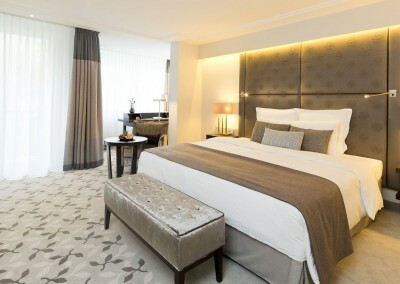 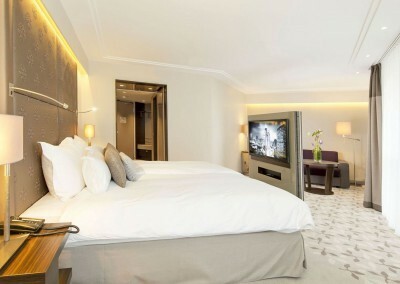 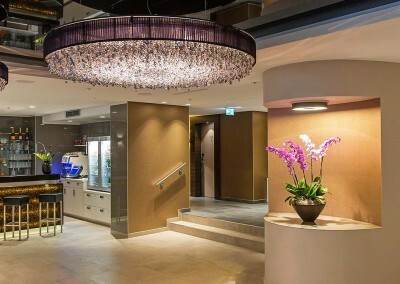 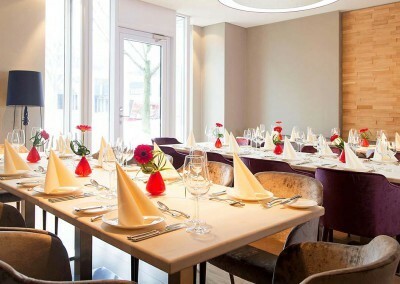 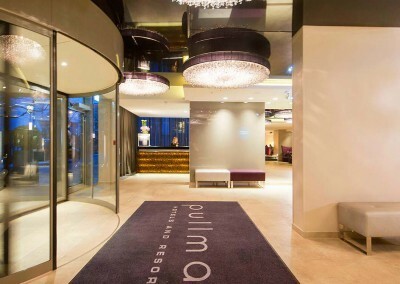 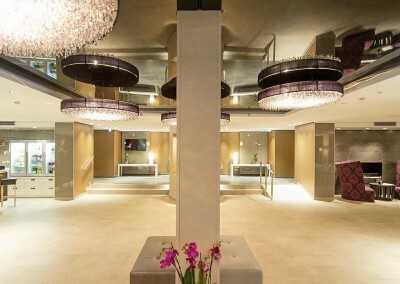 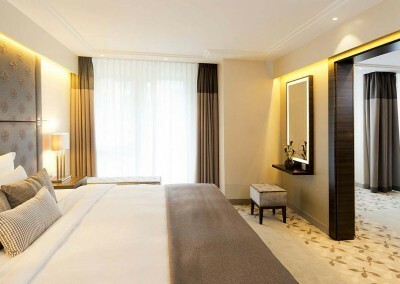 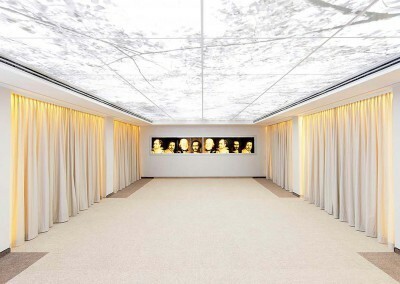 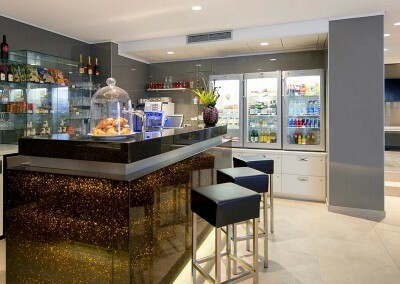 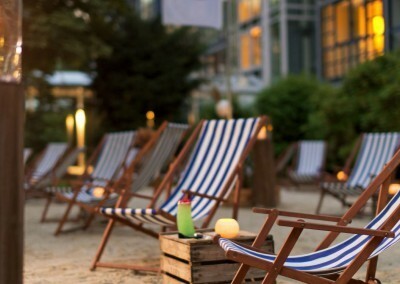 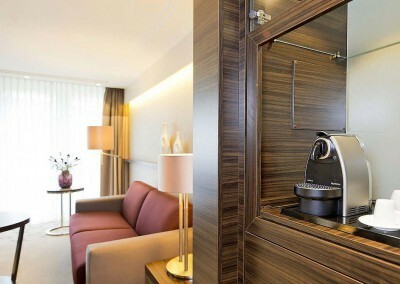 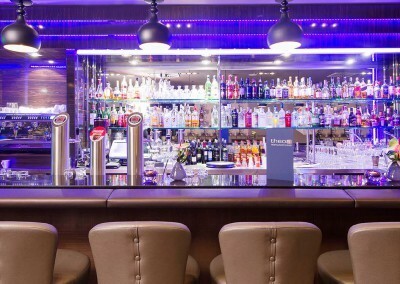 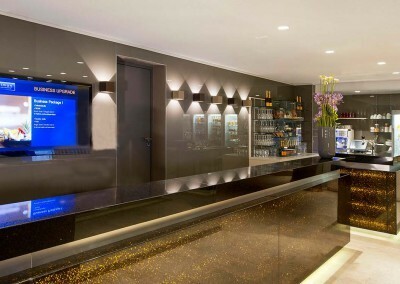 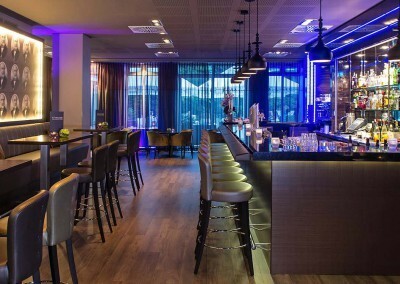 Guests of Pullman Hotel Munich appreciate its quiet yet central location, just 25 mins. 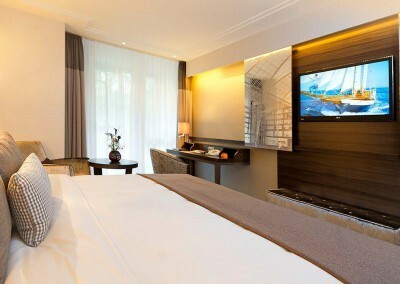 from Munich airport by convenient airport shuttle and just a short stroll from nearby subway station, taking you to downtown Munich in just seven minutes. 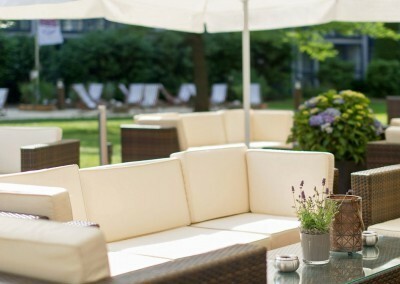 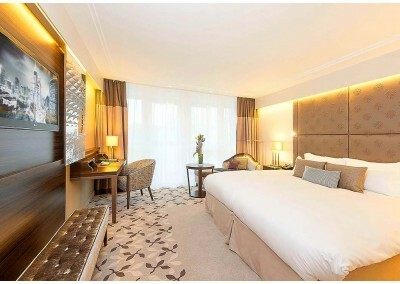 At Pullman Hotel Munich you reside in spacious rooms and suites featuring balcony or loggia and garden views. 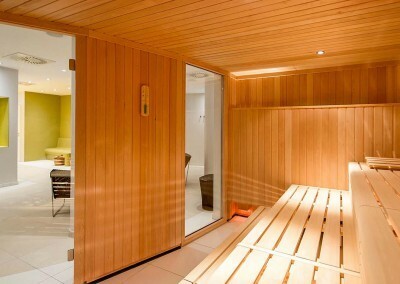 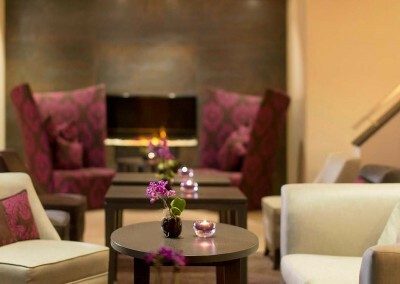 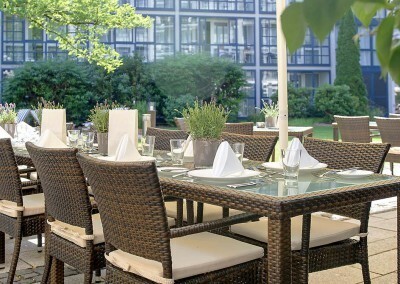 Theos Restaurant & Bar serves contemporary Bavarian cuisine and Garden Spa invites you to find peace and balance. 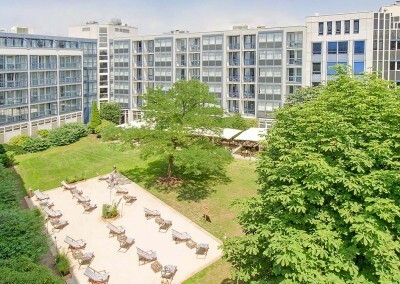 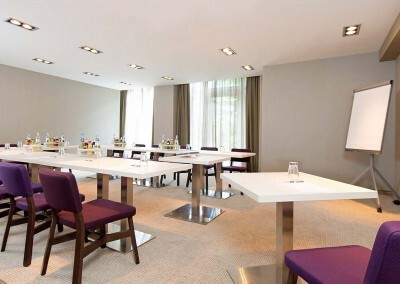 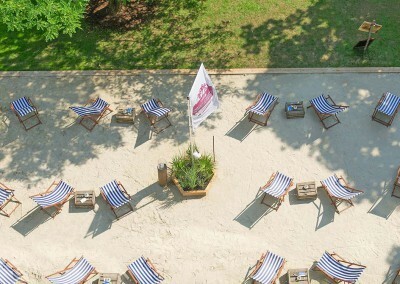 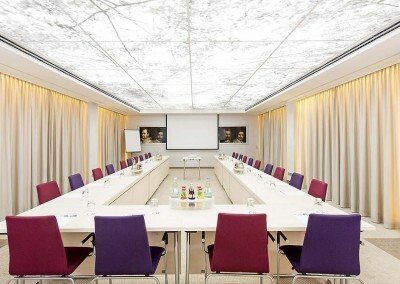 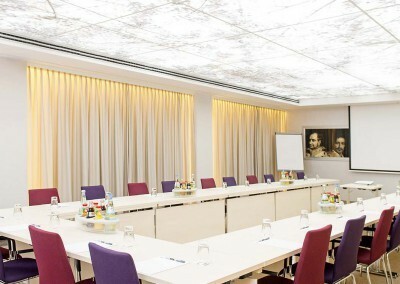 Meetings and events for up to 60 people are organized by Pullman Munich quickly and professionally.